England head into their final group stage game against Slovakia on Monday evening, after two impressive games against Russia and Wales. However, it's not only their style of play and organisation which have caught our eye, but their choice of boots too. Roy Hodgson has stuck to a 4-3-3 formation and named an unchanged lineup in the first two games of the group stages. The England squad has been made up of: Joe Hart, Kyle Walker, Chris Smalling, Gary Cahill and Danny Rose. Then Wayne Rooney, Eric Dier and Dele Alli, with Adam Lallana, Harry Kane and Raheem Sterling up top. England's No.1 Joe Hart has wore a pair of the Nike Hypervenom Phantom II boots throughout Euro 2016. These boots contain flywire cables which create a supportive, glove-like fit for the player, helping them to perform to the best of their ability. They also contain a Dynamic Fit Collar to create a secure supportive fit for the player, and provide extra ankle protection. 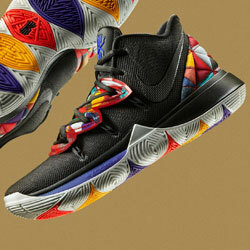 In addition the boots are constructed of NikeSkin material. A soft breathable mesh layer which is bound with a thin polyurethane film and treated with All Conditions Control, to help the player have better feel and control of the ball. Take a look at these boots and Shop Nike Hypervenom with FOOTY.COM. Then, right back Kyle Walker was donned a pair of the Nike Mercurial Superfly V football. These boots come with an anatomical plate which maps the shape of the foot and eliminates the gap underfoot. They also use a Nike Grip System, which works to secure the foot inside the boot, to help the player control the ball. Additionally, the boots contain a high tech traction system with a 3D contoured plate with precision studs for stopping and starting fast sprints. Check out the FOOTY.COM range of Nike Mercurial Superfly today. 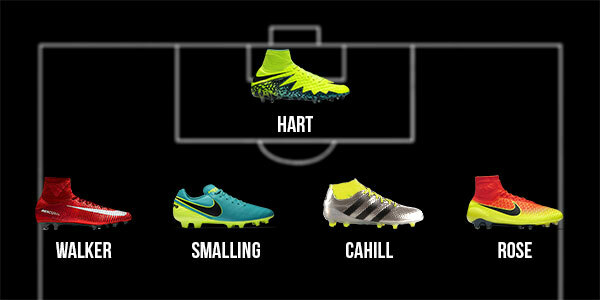 Solid centre-back Gary cahill was wearing a pair of the Adidas Ace 16 boots against both Russia and Wales. These boots contain some very technical features, allowing the player to perform at his best. Firstly the boots have an Adidas Primeknit upper that moulds perfectly to the foot the instant you slip it on, so there is zero wear-in time. In addition, the Adidas Ace 16 boots have a very effective PURECUT laceless sock forefoot, with no edges or overlays; so there is nothing to distract you away from the game. The boots are also fitted with a unique feature called Non Stop Grip. It is a thin layer of raised dots applied to the upper, that keeps the ball glued to your feet, to give you control of the ball in all conditions. Why not browse our collection of adidas Ace boots and discover great savings. Cahill's centre-back partner Chris Smalling has wore a pair of the Nike Tiempo Legend VI football boots since the opener against Russia. These boots come with a kangaroo leather upper, which is fitted with All Conditions Control technology that provides maximum ball touch and consistent control in dry or wet weather. The boots have also got an internal microfibre midfoot cage to ensure that the foot is secured inside the boot and to make sure the player feels comfortable when playing. To shop the FOOTY.COM range of Tiempo Legend boots, click here. Left-back Danny Rose wore a pair of the Nike Magista Obra boots, when he played in the England squad against Russia and Wales. These boots have a conical stud pattern that gives the wearer 360 degrees of rotational traction. Also, they have a pebax nylon plate, which adds support while letting you play naturally. If you're looking to replicate the pace and prowess of Rose, check out our range of Magista Orba boots from Nike. The Spurs youngster has been the English posterboy for the adidas Ace 16+ Pure Control boots and has continued to pull them on throughout Euro 2016. These boots have a lightweight sprintframe outsole, to provide good stability at high speeds. 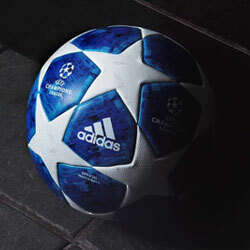 They also have a synthetic lining for added comfort when playing a match. The adidas Ace 16+ boot has taken football world by storm, and you can pick up a pair from FOOTY.COM by clicking here. England captain has excelled in his deeper lying midfield role and has been spotted in a pair of Nike Hypervenom Phinish boots. The boots, have a moulded sock liner to help reduce pressure from the studs and reduce distractions. 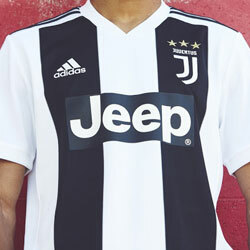 They also have a tongue-less design which enables a very comfortable fit for the player and helps to perfect Rooney's pinpoint passes and powerful shots. One of the more distinctive boots in the England camp, you can compare prices on Nike Hypervenom Phinish at FOOTY.COM today. Eric Dier was donned a pair of the Nike Magista Opus boots when controlling the pace of the game against both Russia and Wales. These boots have a responsive nylon chassis, which allows flexibility and increased movement for the player. They also have a Kanga-Lite synthetic upper, which provides extra comfort for the player and reduce the wear-in time. 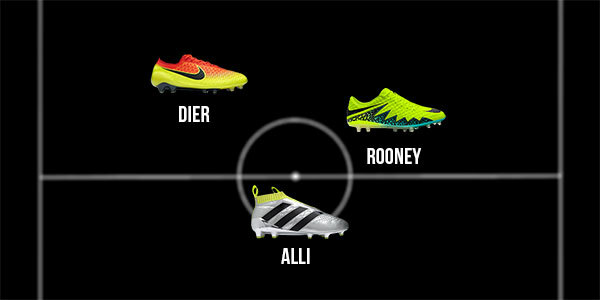 Dier is the first name on Hodgson's teamsheet, and his boots offer just as much reliability. You can find great prices on a range of Magista Opus boots at FOOTY.COM today. Winger Adam Lallana was worn a pair of Puma EvoSpeed boots when he's shone out for England in the early games of Euro 2016. Puma Evospeed boots are made with a light synthetic upper which is both durable and easy to maintain, meaning you can continue to pull on a pair without them getting damaged. Also, the boots have a combination of conical and bladed studs. The conical studs help to improve manoeuvrability in tight place, and the bladed studs give you forward propulsion. 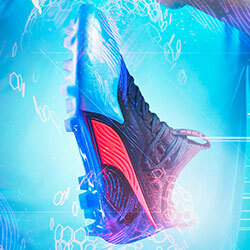 To browse the FOOTY.COM range of Puma evoSPEED boots, simply click here. England striker Harry Kane has wore a pair of the Nike Hypervenom Phinish boots in the opening games of the European Championships. The Hypervenom Phinish boots have a TPU tip which is attached to each stud so that they won’t wear down; meaning these boots really are built to last. 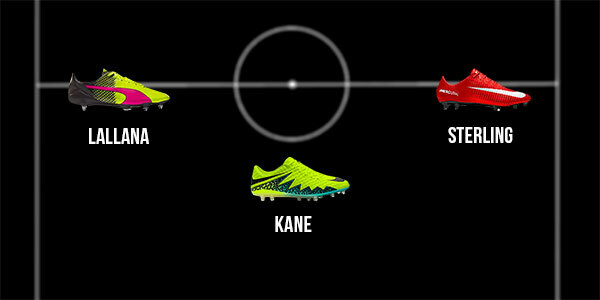 The boots also have a 3D textured upper with All Conditions Control technology, which helps Kane grip the ball, for optimal control in all conditions. 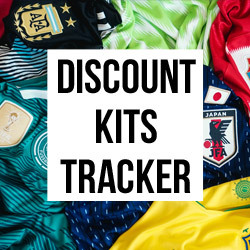 If you're looking to save money on a new pair of Hypervenom Phinish boots with FOOTY.COM, click here. Man City wing wizard Raheem Sterling has donned a pair of Nike Mercurial Vapour XI boots for both of his appearance in England's starting lineup. Nike Mercurial Vapors are made with NikeSkin to give the player increased support and enhanced control. The boots also have compressed nylon plate contours to create added support and comfort for the player. To replicate Sterling's speed, pick up a pair of Nike Mercurial Vapor boots from FOOTY.COM today. I'm Josh, a Work Experience student here at FOOTY.COM. I've got a keen interest in football and took it upon myself to write a blog about something that interests me. This England team are on a fast track to legendary status, something which was unthinkable 4 years ago.